Although working the space shuttle beat was the highlight of my photojournalism work, the majority of my assignment covering spaceflight actually goes to unmanned rocket launches out of Cape Canaveral AFS (& other launch sites), missions which primarily serve NASA, commercial companies like SpaceX, the Department of Defense & other Government agencies like NOAA & the National Reconnaissance Office (NRO). 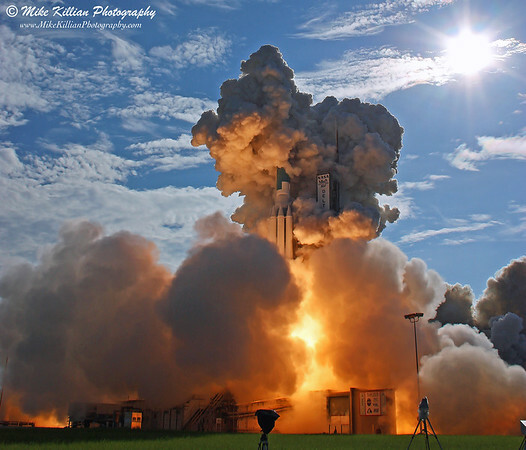 Below are galleries from various ULA, SpaceX, & Orbital ATK launches over the past few years, everything from GPS satellites and space planes to classified NRO spy payloads and NASA missions to the International Space Station, Moon, Mars & Jupiter. Galleries are presented in reverse chronological order. All images are copyright www.MikeKillianPhotography.com, all rights reserved, unauthorized use is prohibited.